We are pleased to announce the release of OCAD 12. 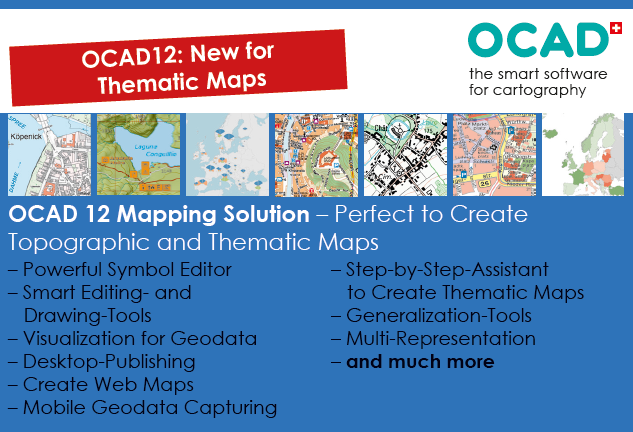 OCAD 12 offers many new features and numerous improvements, which facilitate map-making and thus your work. This entry was posted in Uncategorized and tagged Course Setting, OCAD, Orienteering Map Making, Professional Map Making on October 29, 2015 by OCAD Team.